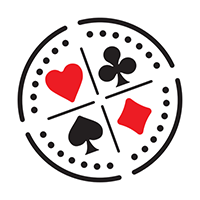 Find videos and articles from the world best Poker Pros. Parisian poker pro Guillaume Darcourt has been on the live tournament circuit for over a decade. Sweden’s Chris Bjorin is in every way the stark opposite of the new stereotype of poker pro that has emerged in recent years. Samuel Chartier is one of the top Canadian professionals on the poker circuit. Philadelphia-born Eric Froehlich has always has been captivated by strategy-based games. Austrian-born tournament regular Heinz Kamutzki came up in the game through the world of online poker. French live tournament pro Alain Roy has been in the game for well over a decade. One of the most successful tournament players to ever come out of Italy. A talented player that has been a familiar face on the live circuit since 2001. Joe Tehan's strong play on the felt over the past decade has made one of the best and most underrated poker players in the world. Born in 1983, William Thorson played poker professionally for almost a decade before giving it up in 2013 after converting to Islam. Israeli-born Lehavot was a relative latecomer to poker, finding the game at the age of 31.